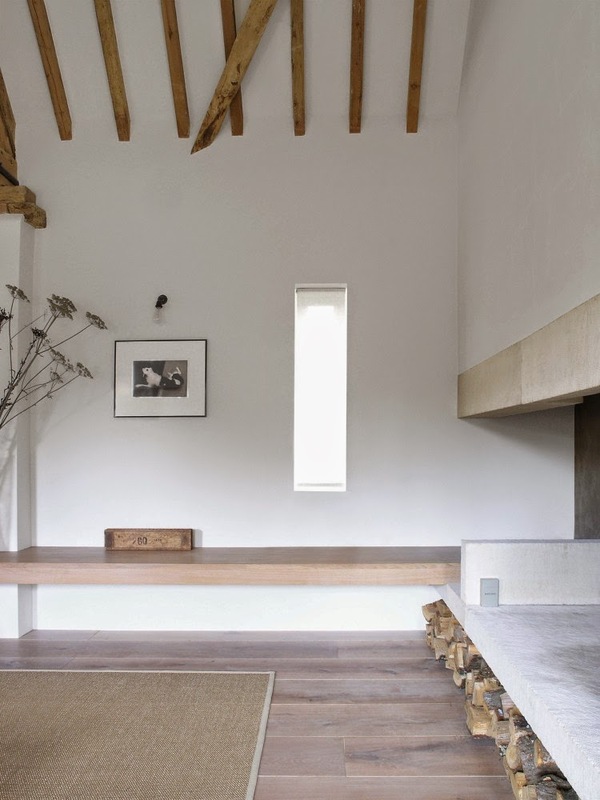 London based architects McLaren Excell transformed an old barn into an impressive, exemplary minimalist space of great simplicity. 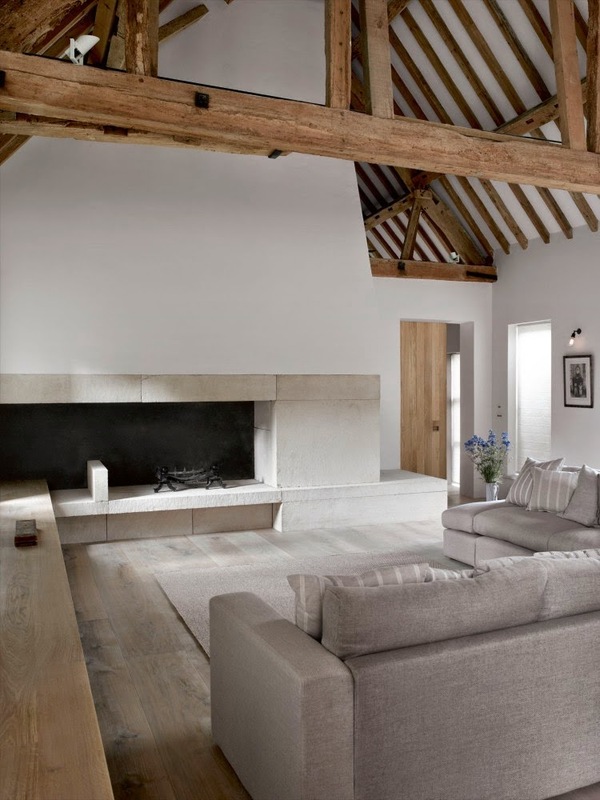 Located in Chiltern Hills, Oxfordshire, Park Corner Barn had been previously converted into a house in back in 1997, divided in several rooms over two floors that had altered the original material and spatial qualities of the building. 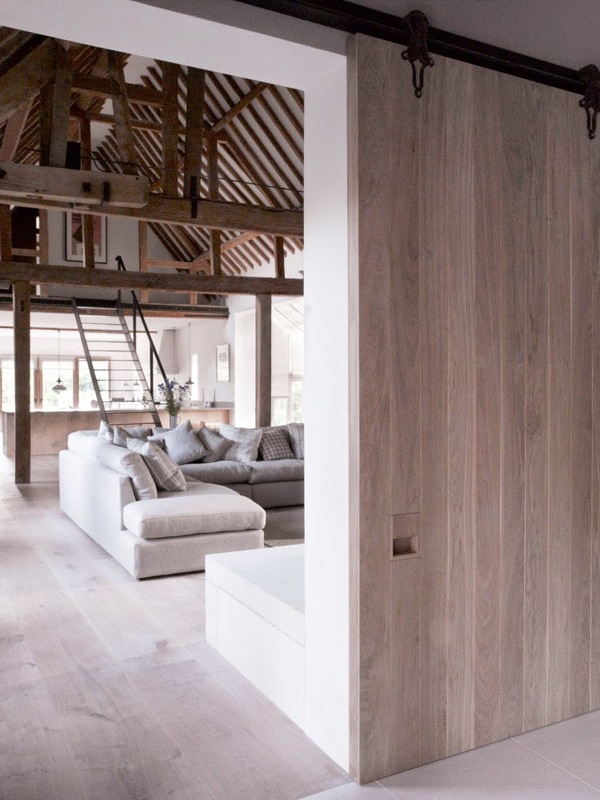 By stripping the building back to its basic structure and removing partitions, the architects revealed a double height living area, that gave the barn the glory it deserved. 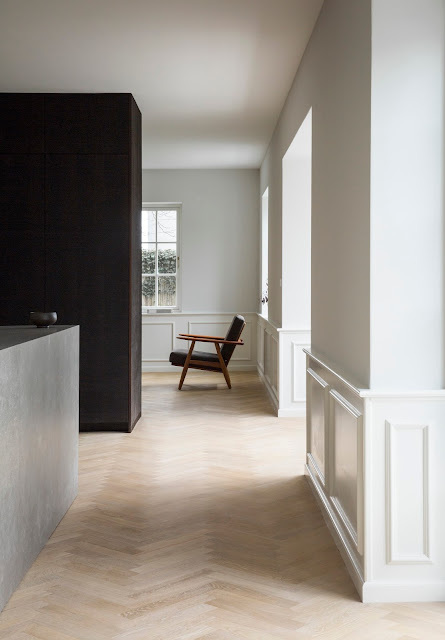 The restored space has a scandinavian feel, and a sense of calmness and consistency, through a limited palette of sober materials, such as white-oiled oak, bath limestone, italian basalt. 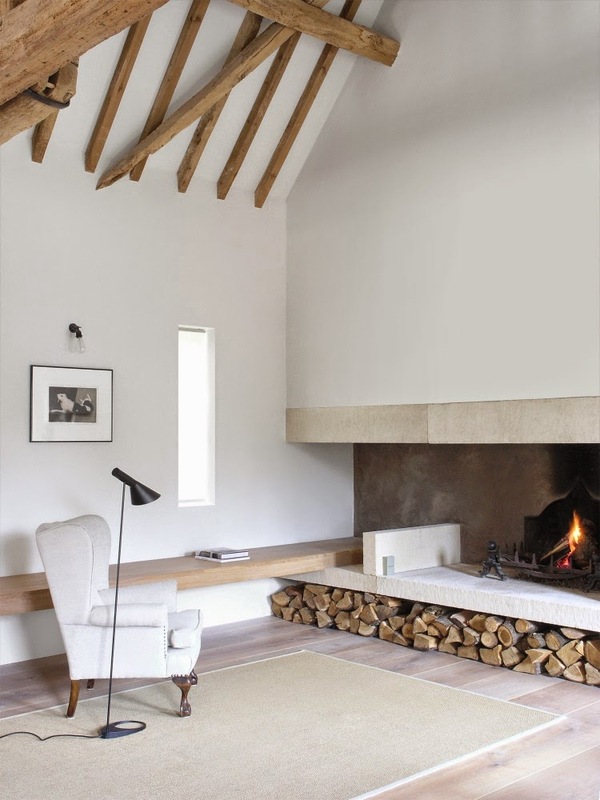 A new fireplace, built of limestone, is the focal point of the open-plan living area, under the pitched roof with exposed structure, beams and joints. 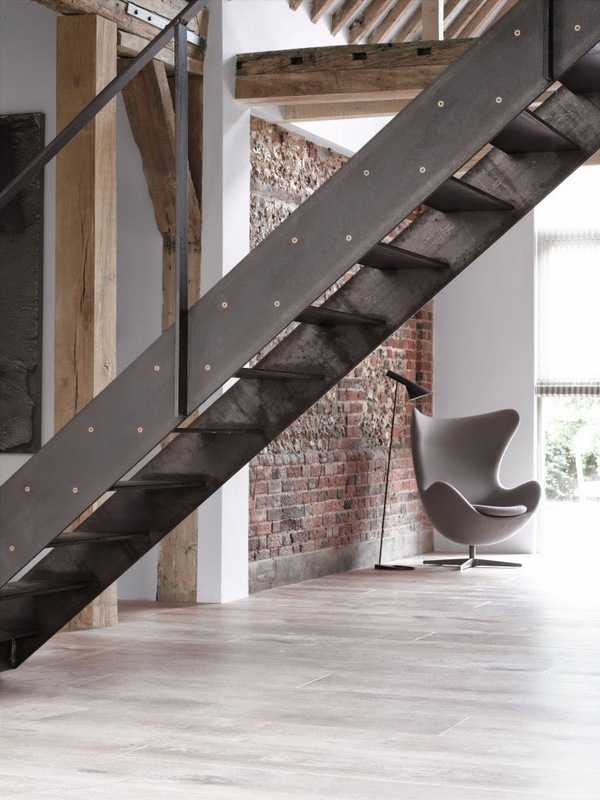 A moveable staircase from black steel leads to the secondary upstairs accommodation, occupying minimum space when not needed. 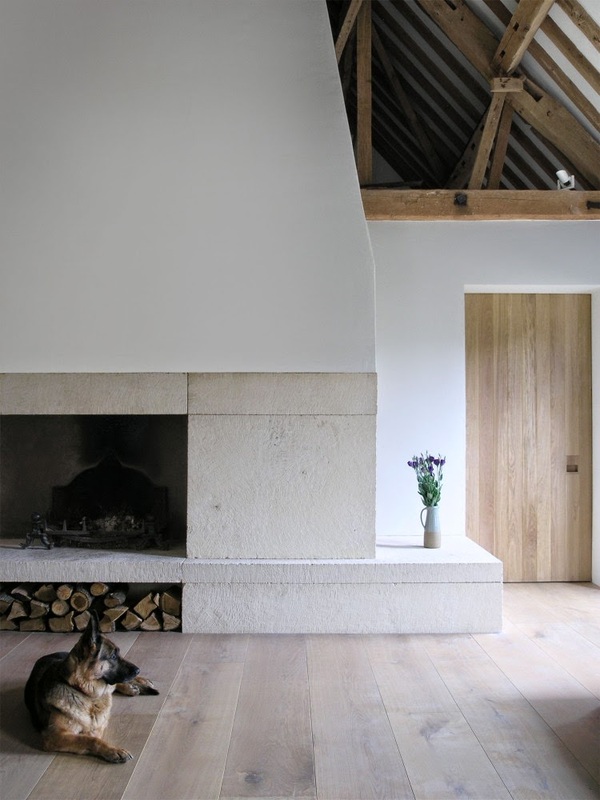 “Set amongst beech-wooded farmland high in the Chiltern Hills, Park Corner Barn was originally part of the neighbouring farm estate and was used as an agricultural threshing and cattle barn until the mid-1990s. Our client purchased the barn in 2009, twelve years after the first residential conversion of the building, with the intention of stripping the building back to its basic structure and starting again. 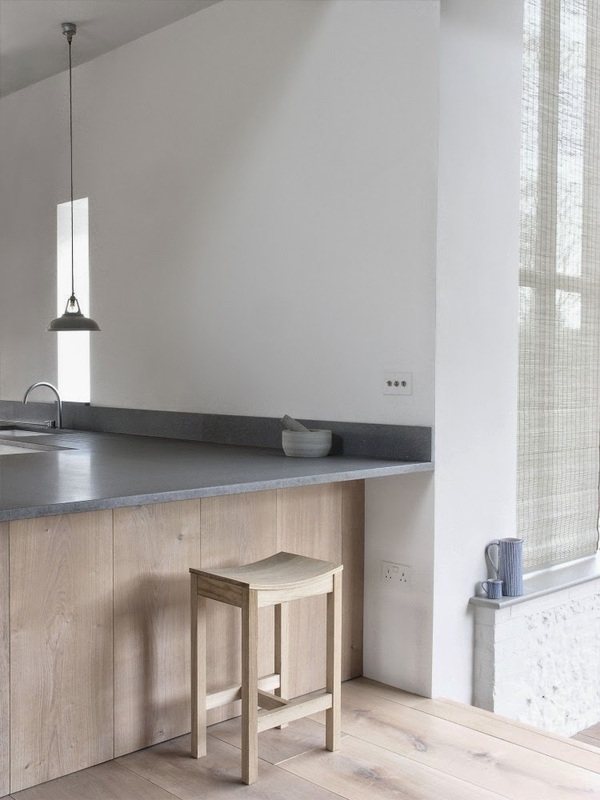 Through conversation, we agreed on a strategy to create a series of light, open spaces, Scandinavian in feel, with a sense of calm continuity. 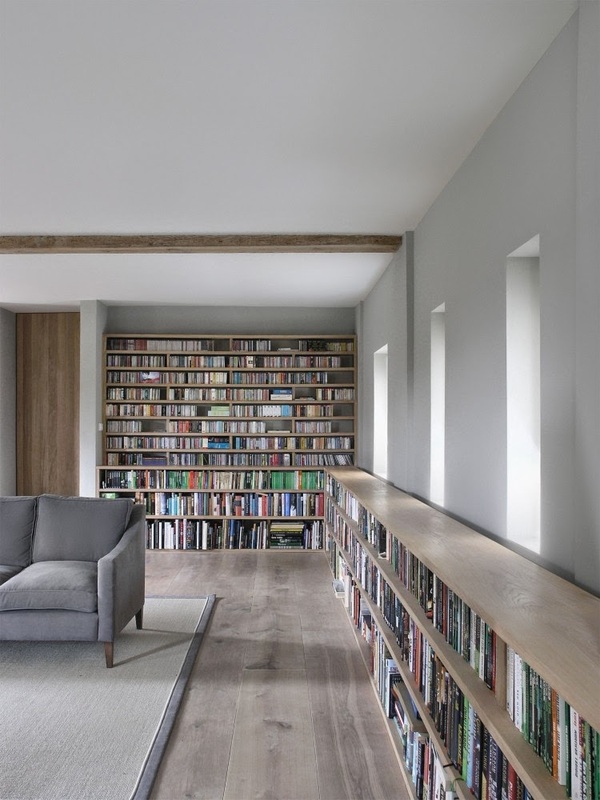 The barn had to accommodate his passion for, and collections of, classical music and books, and provide a new focal living space at the centre of the revised layout. 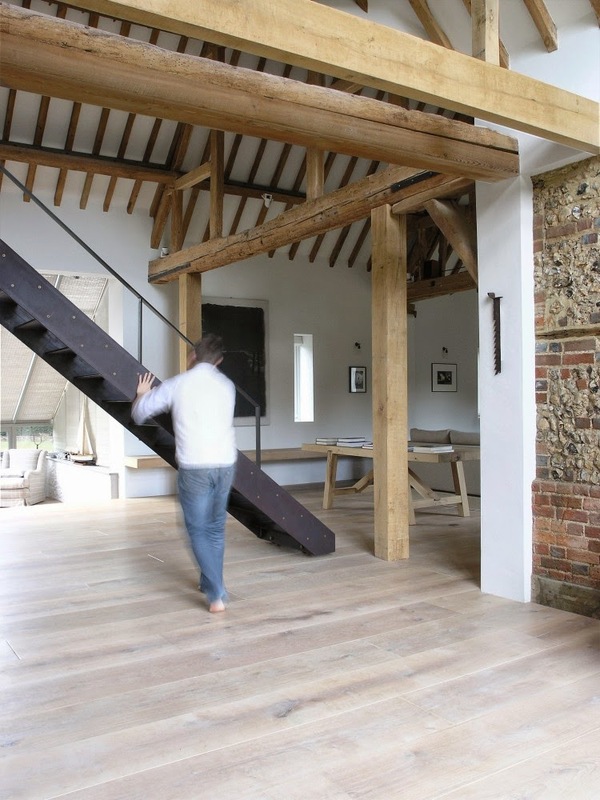 The design also had to provide for flexible accommodation, with the barn alternately full of guests or with a single occupant. 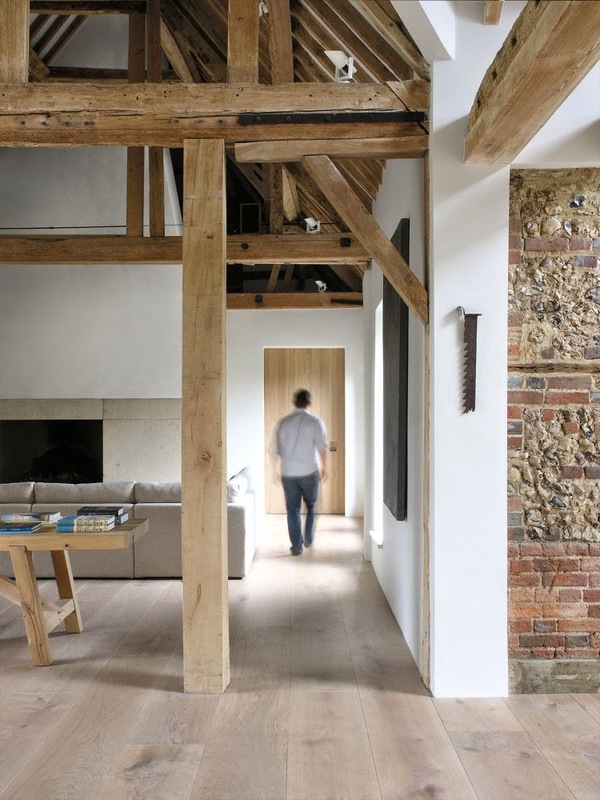 The first conversion of the barn in 1997 appeared to have been an exercise in squeezing as many rooms as possible within the building envelope over two floors, with a lower priority give to the rich material and spatial qualities of the building. 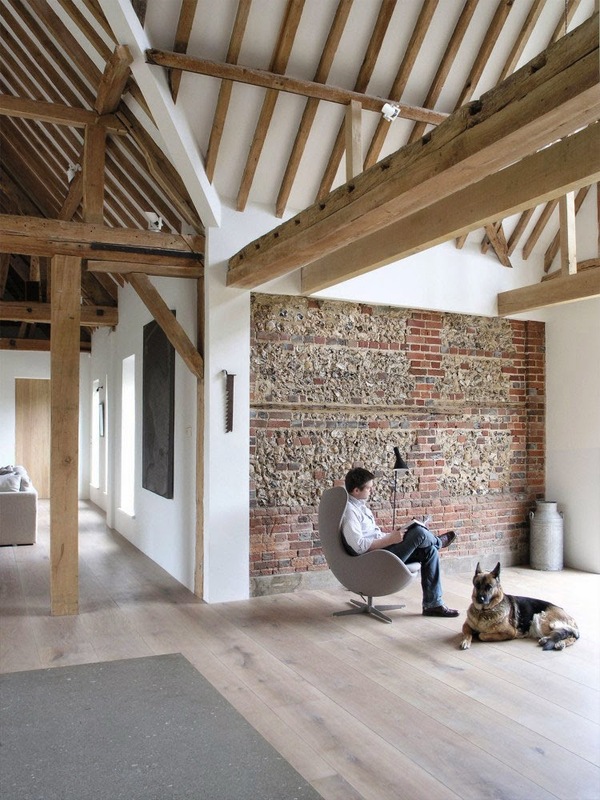 The external treatment of the barn also made for a building with a lot of untapped potential. 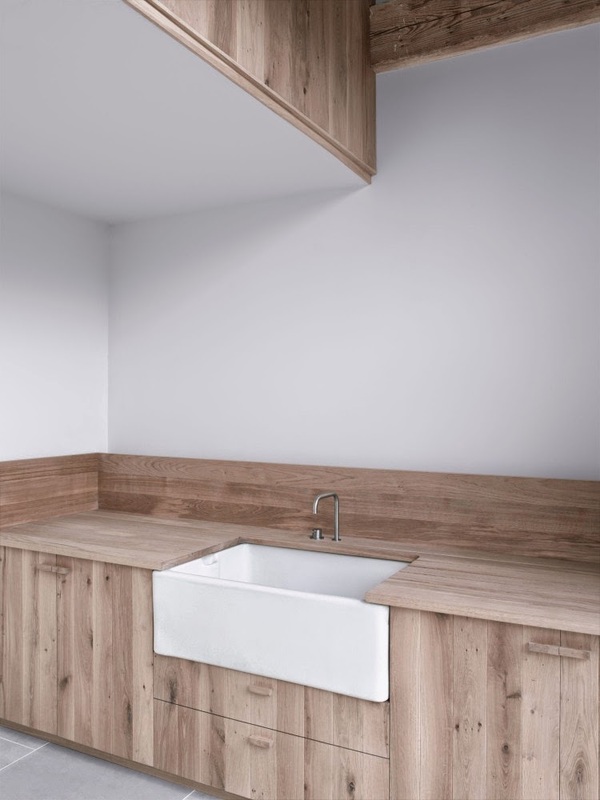 The success of the project relied on undoing much of this previous work. 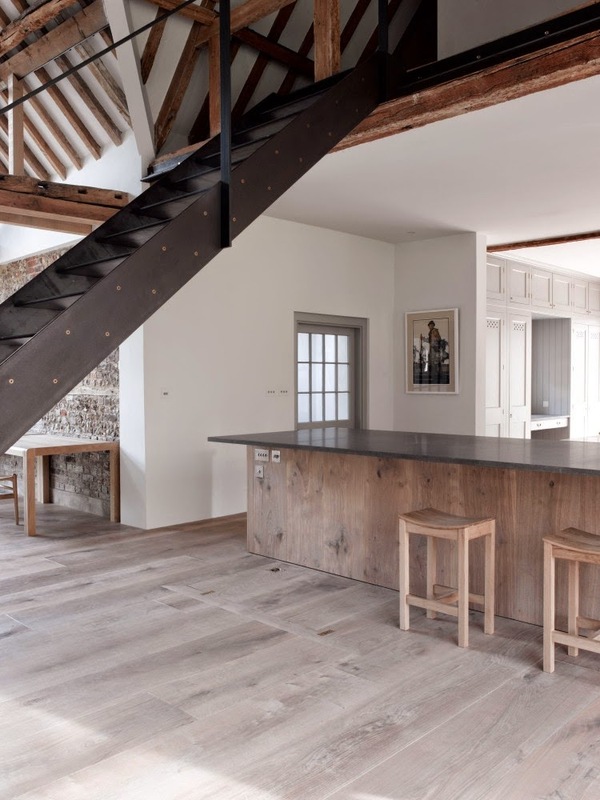 A limited budget meant careful allocation of expenditure - some parts of the existing layout being left unchanged - but much of the building was taken back to the bare elements of the barn’s agricultural origins. 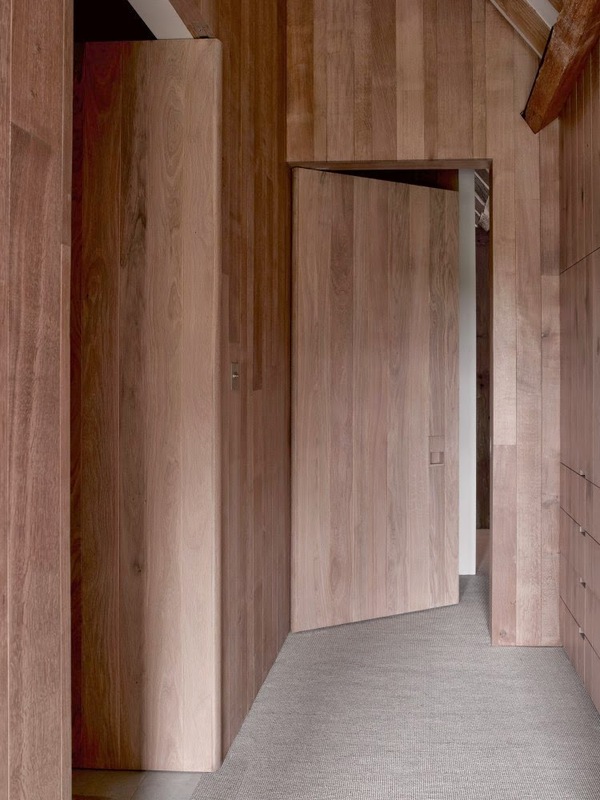 This process involved significant restructuring and re-servicing of the barn. 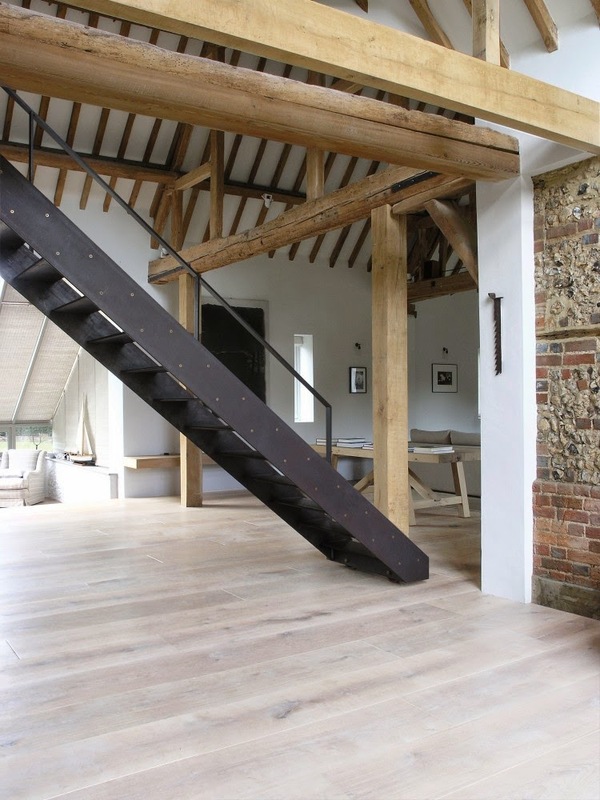 With the removal of many structural walls, floors and beams we had to introduce a complicated package of concealed steelwork and structural timber framing. 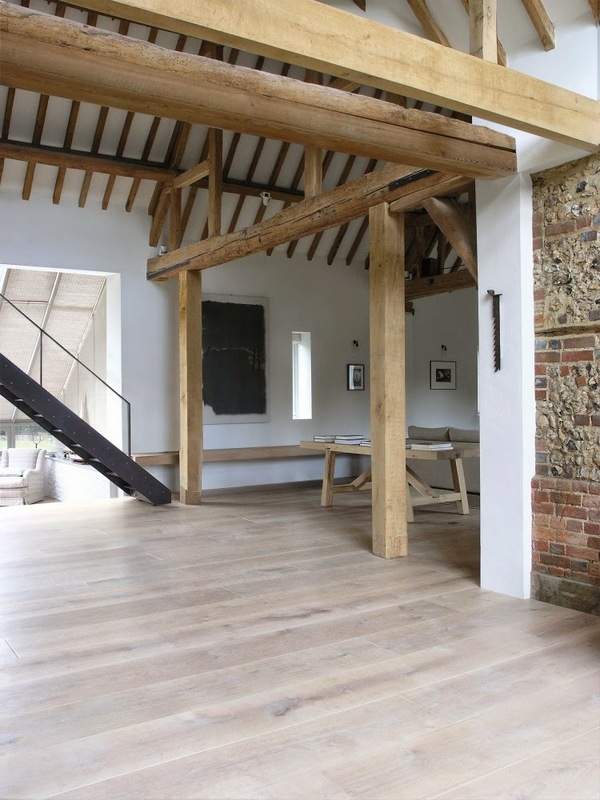 This was further complicated by the deterioration of the timber elements in the older half of the barn which rendered the primary beams structurally redundant. 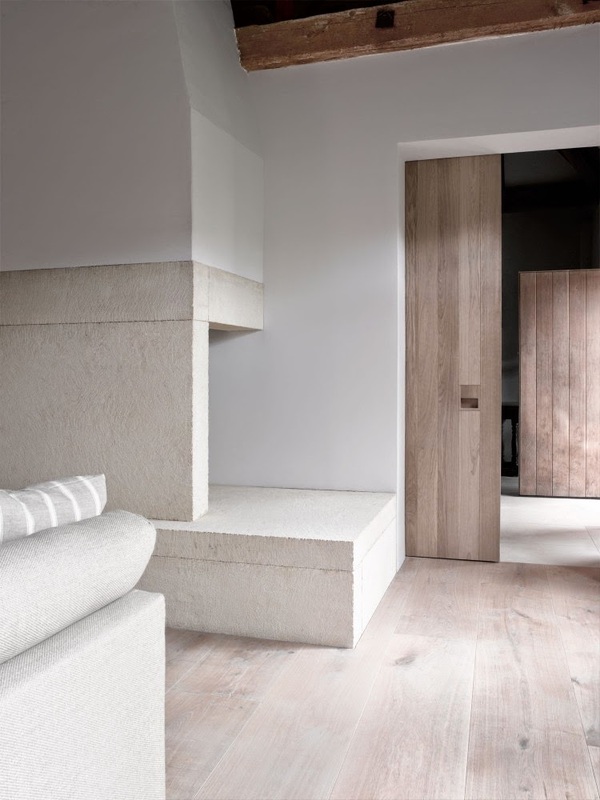 Working with rooms so un-domestic in both provenance and scale, the defining elements within the building needed to have an appropriately heroic and constructed quality to sit comfortably in the spaces around them. 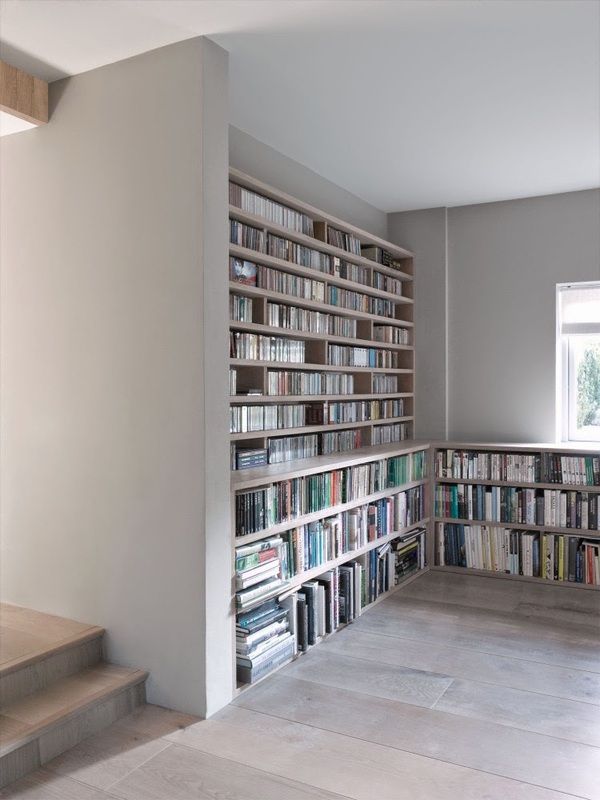 We identified certain interventions with which to achieve the right physical and material presence- and this emphasis largely defined the character of the completed building. 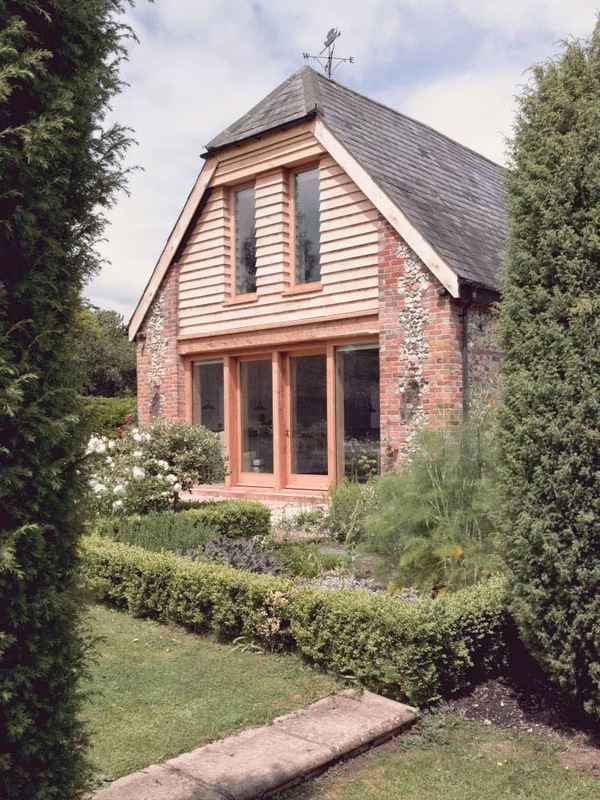 The new South gable elevation is constructed from oversized sections of solid oak, the columns and beams lending the facade an assured solidity and rhythm. 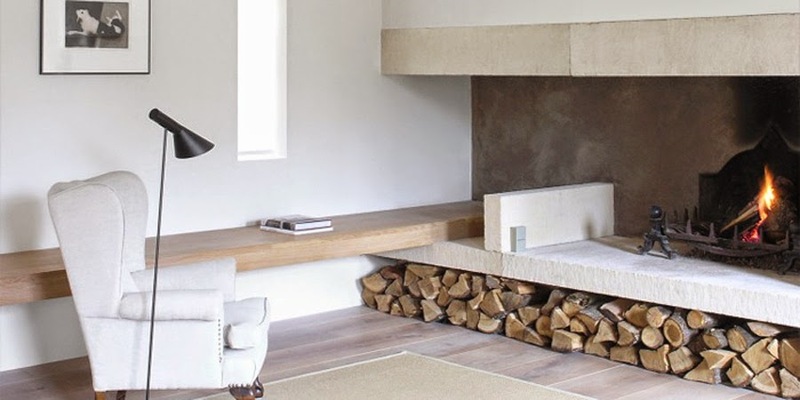 The fireplace and chimney have been conceived as one huge sculpted object: a composition of massive limestone blocks forming the base to a tapering lime-plastered flue, echoing the sloping shapes of rural chimney stacks. 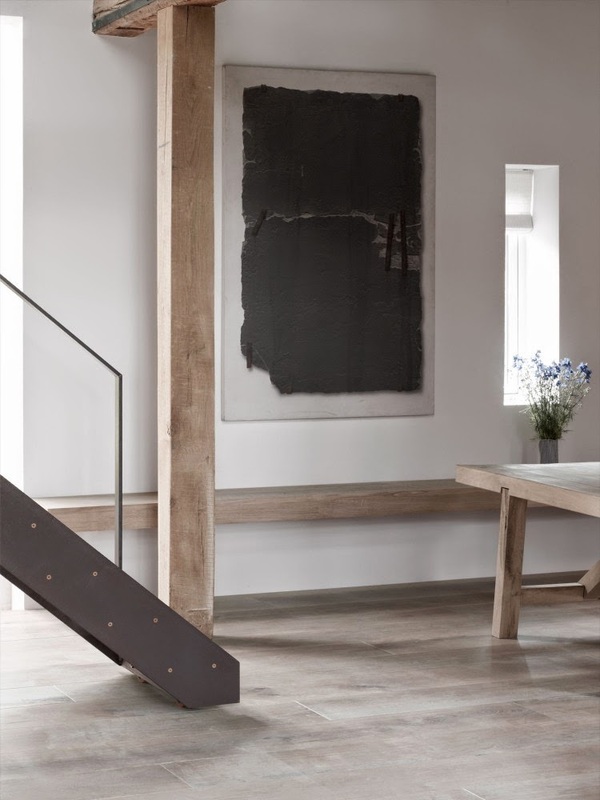 The new moveable staircase to the secondary upstairs accommodation weighs one tonne and is completely fabricated from black steel, with a rough textured finish provided by the natural patina of the material. 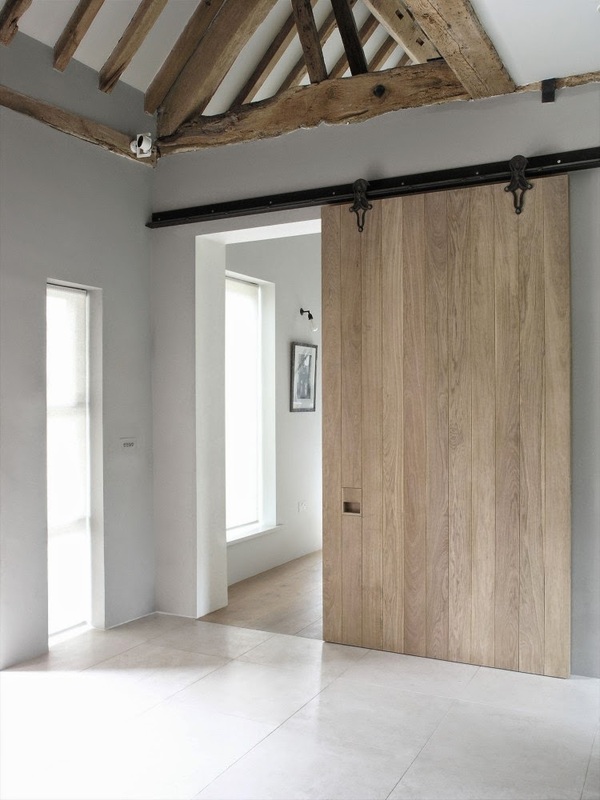 The oak doors and joinery throughout are deliberately over-scaled to remain generous in appearance, in keeping with the scale of their surroundings.